The Premier School offers programs for children from 6 weeks to 10 years of age. We take great pride in our qualified staff and ensure a safe, quality learning environment for all. The Premier School Infant program is built upon personalized attention, in assisting in the development of your child’s fine motor and cognitive skills. Through use of early learning sign language teachers promote the beginning communication structure for infants. Our infant rooms are designed to be warm and inviting providing plenty of room for infants to explore in a safe and secure environment. We offer many fun activities in song and talking to infants in promotion of vocal communication skills. Your child will be comforted in large rockers, special designed feeding schedules between parents and teachers, and an environment filled with toys in promoting the 7 Rays of Discovery and Enrichment. Our toddler program equals activity. From our many toys and manipulatives in promoting their first steps, to assisting parents in potty training, our teachers promote a fun and active learning environment. Toddlers continue in their learning of sign language and are provided the added learning components of phonics instruction. Your child will experience a comfortable environment to grow, while having fun as they discover, learn, practice and play on a daily basis. 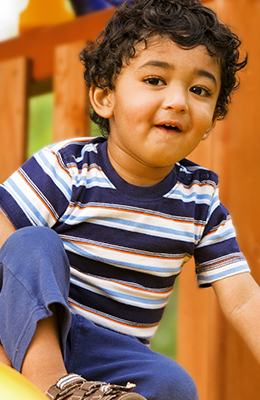 Toddlers enjoy their own playground, built just for them, in assisting the development of gross motor skills. Bright classrooms filled with natural light offer your preschooler an environment of comfort where they can excel within the Discovery Learning Curriculum. Through the model of discover, learn, practice and play, children are encouraged daily by our experienced teachers in learning more about themselves, others, the environment, and communication abilities. Parents are provided access to our online curriculum website to track their child’s progress in language & literacy, cognitive skills & math, creative art, music & movement, science studies, motor skills and dramatic play. Computer stations are provided in classrooms to assist in children’s ability to expand knowledge of technology resources as well as proactive daily lesson plans. Our Pre K Program is designed to prepare children for kindergarten. With age appropriate, hands on activities our Discovery Learning Curriculum includes the 500 behaviors that children should master for kindergarten. The Discovery Learning Curriculum meets the state early learning standards, as well as NAEYC curriculum content and assessment guidelines, American academy of Pediatrics developmental milestones and Head Start Outcomes Framework. Introductory Spanish and computer stations are included for our pre k students at no additional cost as well. The Premier School offers parents the convenience of before school and after school programming. Our teachers provide personal attention to children’s needs to ensure their success in elementary school. For parents needing transportation to and from elementary school, we ask that you please call The Premier School. We offer a flexible schedule and involve parents in the planning of the transportation around work and after school activities. Our Discovery Learning Curriculum continues through the summer and also includes many exciting field trips for our preschool students, pre k students, and school age students. Art With Anna, Bricks 4 Kids, Columbus Museum Of Art, Columbus Zoo, Donato’s Pizza, Phoenix Bat Company, Pottery Studio, Powell Splash Pad, Premier Summer Fun Day, Premier Summer Olympics, Recreations Outlet, Sky Zone, Slate Run Farm, The Works, Victory Park, and Young Chef’s Academy. 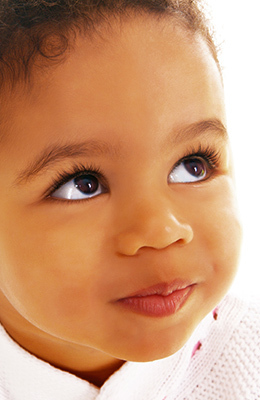 Our Discovery Learning Curriculum uses PreschoolFirst™, a research-based, validated developmental assessment system interwoven with play-based curriculum; PreschoolFirst™ online system is based upon Dr. Sally Flagler’s infant-Preschool Play Assessment Scale (I-PAS) and developmental milestones by the American Academy of Pediatrics. 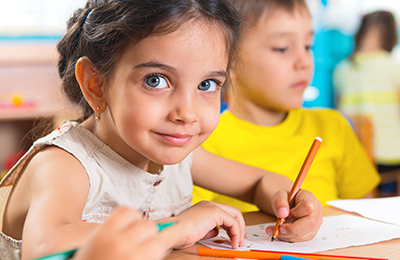 With PreschoolFirst™, a teacher can even find developmental behaviors and learning activities aligned with Ohio Early Learning and Development Standards. This integrated, formative approach ensures early childhood educators foster the learning and development of all children. Offers a library of hands-on early learning experiences that incorporate social experiences and play behaviors from the following developmental domains: Cognition, Communication, Fine Motor, Gross Motor, Social Emotional and Sensorimotor for very young infants. Helps educators use developmentally appropriate “best practices” in the field of early childhood and build a high quality program. Streamlines curriculum planning with easy-to-use tools so teachers plan rich play opportunities for groups and individuals, and have more times to spend with children. Guides teachers to observe each child play and participate in planned activities which incorporate age appropriate behaviors. Allows teachers to record observations online according to progressive scale developed from suggestions by the National Association of School Psychologists’ (NASP) Early Childhood Task Force. Helps programs and teachers share and celebrate children’s ongoing progress with families in a meaningful way. 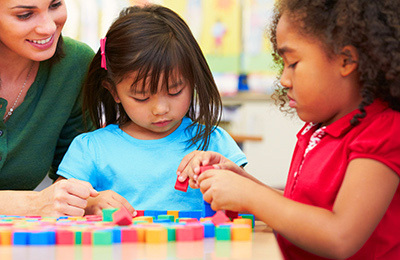 PreschoolFirst™ connects programs, teachers, and parents and helps them work together to promote children’s learning and development. To encourage family involvement, PreschoolFirst™ offers more than 300 easy, hands-on activates parents can do at home- available in English or Spanish! The Discovery Learning Curriculum follows the model: Discover, Learn, Practice, and Play. Children discover their interests, learn through age appropriate lessons, practice through hands-on activities, and play to reinforce and extend learning. These activities include the five hundred behaviors that children should master for kindergarten. The Discovery Learning Curriculum begins with our infants and continues through age 5 ½. 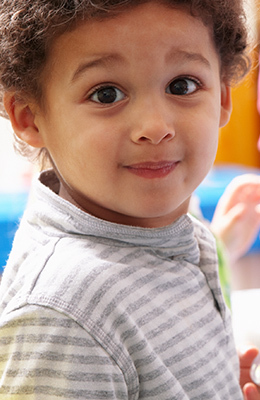 The Discovery Learning Curriculum meets the state early learning standards, as well as NAEYC curriculum content and assessment guidelines, American Academy of Pediatrics developmental milestones, and Head Start Outcomes Framework. Parents are provided access to our online curriculum website to track their child’s developmental progress.